Personal Tarot Traits – I was the Knight of Swords! I was the Knight of Swords. This card is about obeying one’s own Spirit! I was the Knight of Swords yesterday… well, at least there was me personifying this archetype. I spoke my truth. I was brave. Someone (like me) with a lot of “people pleasing” and “confrontational avoiding” Libra in a birth chart finds that a challenge. I took some action involving communicating something that represented my personal truth yesterday. We could say that I defended my own truth which took a bit of courage in a way that is untypical of me. Sometimes when we do this kind of thing — speak our mind honestly or make a decision that is in alignment with our inner wisdom — especially if we’re not accustomed to doing so — we may feel a pang of concern about it afterward. Did I create karma or set into motion something that may come back to bite me? When I drew this card yesterday, I had no idea what it could mean for the day ahead. My own habit when I see a knight of any suit is to think “change” in some way. Perhaps “change” was true to some extent yesterday as well since, one thing leading to the next, I ended up changing my office arrangement again! Which in this small apartment is like putting together a jigsaw puzzle. LOL As I was moving things around the apartment I thought of the Knight of Swords and of my usual tendency to think “change” with this card. And of course “action” is another keyword that comes to my mind. So those things fit with my office rearranging. Yet, the other archetype here has to do with words, verbal stuff, communication — we’re talking about swords after all associated with air and Gemini energy. The day before we had the King of Swords giving his speech at the local YMCA, but the Knight speaks more in personal terms, expressing personal opinions and ideals and … simply speaking his own mind in a more personal or one-on-one manner. Yet, the Knight of Swords has to be careful not to be self-serving in his communication and aggressiveness has no place when speaking one’s truth either. Upon self-examination I don’t think aggressiveness applies and the self-serving part is still up in the air (pardon the pun), but I call following my intuition, even though it was rather impulsive, something that is fair for all concerned. How do I know it was my intuition guiding me to speak my truth? Well, first of all there was a feeling and secondly, there was that familiar thing that happens when I sort of watch that energy that comes in and takes over. Overpowering confidence and calmness cover the whole scene as well. That’s how it is when a higher part of me takes over. It’s happened before, and I recognize it. The reader may have to take my word for that one. Moving bravely in pursuit of one’s ideals and honest truth despite any cost and allowing the higher mind and intuition to work without fear or apprehension are descriptions of the Knight of Sword’s energy. That’s how it acts in the psyche and the world. Allowing one’s self to be “daring”–that’s a good way to express it. And that’s what I did yesterday. Daring myself to speak my truth in way that wasn’t forceful, just matter of fact. This Knight of Swords doesn’t control his horse but allows himself to lunge forward ‘with’ the horse. When one obeys one’s own Spirit (my personal experience correlates this fact), the gift that comes is one of avoiding ugly and unnecessarily unpleasant situations. In astrological terms (if you are an astrology buff) we could think of the Knight of Swords as the aspect called the “opposition”. In the morning when I first awaken, I let guidance come in and do a waking dream for the day ahead. On one of these occasions recently I received a directive in the form of an idea laced with intensity. “Draw a card at the beginning of the day and reflect on its meaning and then revisit it at day’s end correlating the day’s experiences with the card.” That’s the treasure at the end of the rainbow so-to-speak. Doing so gives insight into the world of divination for the purpose of adding layers or additional traits to the tarot card meaning. This deeper understanding to the cards can be applied for use when doing future readings. It’s like letting Life Itself teach us the cards. But is it only today that we may feel (Moon/emotion) the effects? No; it’s more or less a theme that’s been occurring at least since the last eclipse (Solar a few weeks ago, March 20). Something shifted around that time, perhaps ended—a change; a new way of BE-ing may have occurred for you. And now, that’s associated with a new beginning. Don’t’ get hung up on the exact dates; instead just think about something that may have occurred in the life 2 or 3 weeks ago (or even a month or so ago) that set you up for the new phase that this eclipse is heralding—new beginning; new way of seeing things; new way of being in the world; new chapter in the life. (We can experience the effects of an eclipse months before and months after–or so they say and so I’ve personally observed.) But what are the key factors we can realize now? Relationship is the key word with this energy and if you’re like me—happy to be in relationship with Self with a capital S (Higher Self) and with Divine Being you may, like me, be seeing life in a whole new light. That should be a capital L really in the word Life—meaning All That Is and of course all that isn’t and the space in between. Of course, we’d also have to mention personal one-on-one relationships with family, friends, life partners too which may be taking on a whole new meaning right about now and over the next few months. Sun in Aries wants freedom and the ability to do it’s own thing regarding its purpose in life and the planet Uranus is empowering that Sun to go for it! 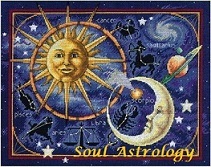 As I see it, the planets and luminaries are setting up that theme when the Sun/Uranus opposes Moon and squares Pluto. To me that configuration indicates finding freedom in our life in a new way–one which challenges our feelings of security or actually enhances those feelings to create transformational (Pluto, the transformer) attitudes or views regarding how we relate to others and/or to Life Itself. Pluto is quite psychological and so we could sense here a new psychology in your life–perhaps a highly personal one that creates a new beginning. Can you see or feel how this can be playing out in your life now? And how it has been occurring for some time now? 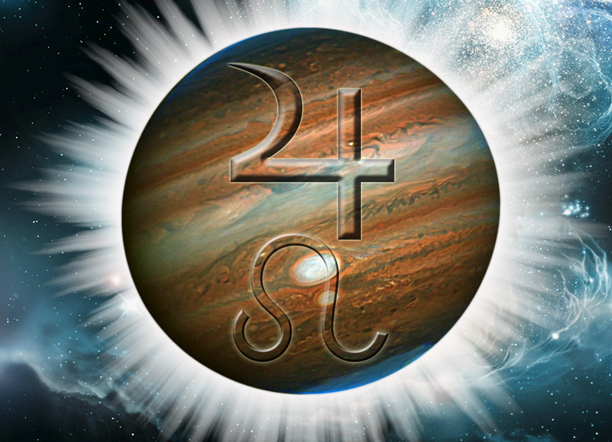 Jupiter plays a part in this attitudinal, emotional energy merger and change of view too. Jupiter, the great benefic, is highly focused via it’s retrograde motion. It’s moving through Leo now. And now its making an aspect to the other players, bringing with it a sense of playfulness and joy and mostly FUN. That’s the energy that influences and balances this new attitude and way of be-ing that is taking shape and changing our lives right now. May the blessings of Jupiter be yours and may you find the freedom and harmony in your life that brings the new freedom/ liberation of contented happiness with the influence of this eclipse both now and over the next 6 months! Well here’s a Full Moon in Aries theory for you. People who go bonkers during a Full Moon in a relationship sign (Aries Moon/Libra Sun such as it is now) are suspect for this reason: people will pick a fight with another or provoke reactions in other people for the purpose of dealing with their own conflicts about relationships. Yeah—totally happens. Full Moons by their very nature are about oppositions (Moon opposing the Sun) and so there will be people born under a Full Moon to whom relationships mean “everything” and others will repudiate all relationships altogether. Polarity extremes are part of a Full Moon and in relationship signs like the current Aries/Libra Moon/Sun, it’s the same way. Therefore, I tend to believe that this is the case with all transiting full Moons too but especially in the relationship signs of Libra/Aries where even the Lunar Nodes are also currently transiting. So at the peak of the Full Moon yesterday with the Moon still in Aries, how did that go for you? Any Mars/Venus interactions? Any Yang/Yin oppositions? Anything surprising? –Uranus, the planet of surprise, was in alignment with the Moon and Sun. Well, whatever it may have been, short lived and sudden as it may have been, the effects will be long lasting whatever it was. The Moon has now (at the time that I post this) slipped into Taurus—a more peaceful and pleasant emotional territory but the Blood Moon Eclipse had its effect and now we deal with the energy it left behind. The Moon, which is being eclipsed, is the natural ruler of family, domestic situations, and women. That Full Moon has just occurred in the fiery, and often inflammatory, sign of Aries. One astrologer said issues with women during this Full Moon would not be unexpected, and it’s possible that one may check out on you either emotionally or physically–(adios). 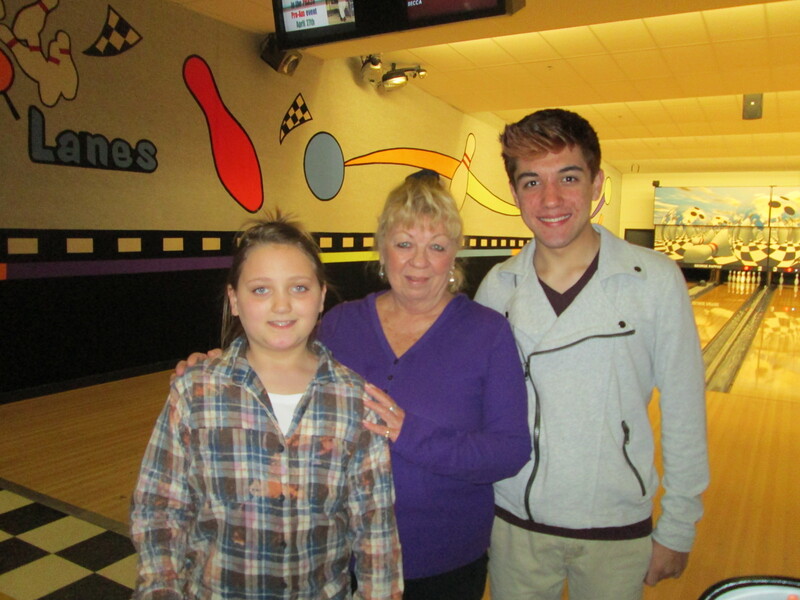 Issues with caregiving can be part of a relationship dynamic at this time. And then there’s always that type of familial “damned if you do, and damned if you don’t” kind of drama. Am I ringing any bells? GOOD NEWS: If you can stay out of the dramas (and other people’s aggressions) at this time when the Moon is at it’s fullest, the energy can be purely exhilarating and energizing. As far as that New Moon intention that we set in motion a few weeks ago, things have peaked, hit the high note and from here on out (the rest of this cycle) the Moon wanes and the energy calms, declines. But have no fear; a lot can still happen—we are only at the very beginning of the waning cycle. Look out your window now, the Moon is still plenty full. Generally speaking, as compared to a few weeks ago, things are clearer now than they were then—cards are put out on the table so-to-speak. Life’s paradoxes become more vivid now—we can see other people’s view points if we are the least bit perceptive and unselfish. There’s a sense of fate of inevitability that becomes evident here at the Full Moon time and in various ways not just in the way that it relates to the New Moon seed that you planted (either consciously or without knowing what you were doing). What’s Normal Now: You could have fear about how you think things are going to evolve in the next few weeks as the Moon wanes, but don’t have a fatalistic attitude! You see more clearly and realize that things can change at any moment, and you know they have to. Why? You realize that some things cannot be amended or repaired and some situations are truly stuck and you resolve not to prolong those. I think it was Steven Forest who said something like if we have to have karma/drama then drama that moves us forward is evolution and is better than rather than drama that goes nowhere but back to square one. I could see that in a situation recently in my own life—yet I don’t think it had much to do with the seed that I planted through my desire or intention during the New Moon a few weeks ago, but maybe so. Time will tell. Those realizations often times come much later. Dane Rudhyar says that if a positive attitude of growth and liberation have prevailed during the waxing phase (as the Moon grows toward full), there comes some feeling of fulfillment, illumination and revelation at the FULL MOON. On a personal level, I really am experiencing that now in more than one situation at this time! That message that we received at the time of the Sun/Moon merging conjunction has now reached the conscious mind fully and arrived in clear, objective consciousness. Something of the past is repudiated – some old value/belief/worry/fear (something) is released in favor of a new realization! THAT’S Full Moon energy all over! And so now there is a reorienting with a different purpose than a few weeks ago. EXCEPTION: if an individual has been negative or carried a hesitant attitude over prior weeks, the Full Moon time can bring about a destructive attitude or a mental dilemma. There can be feelings of being torn; a splitting of the personality but this of course is delusion as all feelings of separateness are. In relationships where feelings of separateness occur the vital essence of the relationship is destroyed. Why? Because that is the denial of relatedness! Negative energy sees conflicting energy where there is none—such as seeing the Sun conflicting with the Moon in opposition when they are actually relating/merging/compromising. How can you relate to something when you feel that the something is separate from you? How can you relate to something or someone to which you feel you are being denied the connection? That’s how feeling torn comes about—a bit like personality schizophrenia. By the by, I admit to getting of the concepts offered in the above paragraph from the work of astrologer Dane Rudhyar. I have include it (heavy as it is) because of personally experiencing the truth to it. I did paraphrase the concepts the way. PERSONAL INPUT: We will see what happens as the Moon wanes over the next few weeks but that ‘bit-of-a-ray-of-hope’ that happened in the New Moon phase 2 weeks ago, that whisper of a hope became concrete and survived and energy of the other phases is peaking now—this is definitely happening in my own personal experience as it relates to my New Moon intention/desire/seed planting. Yet, I still do not wish to reveal what it is that I’ve been focusing upon; not quite yet. Meanwhile, I’m learning a lot about the Moon cycle writing these blog posts on the Lunation Cycle and applying the information to my own life. By the way, a bit of trivia here but I just wrote about Joan of Arc in this week’s newsletter and that ties into this blog post since Joan of Arc was born during Full Moon— or so they say. Her life story epitomizes Full Moon energy. Anyway, let us ‘hang-in-there’ through the rest of this Lunar Full Phase. I could have written a book on the fact that this Full Moon is called a BLOOD MOON but, it’s been a long day! Another time. 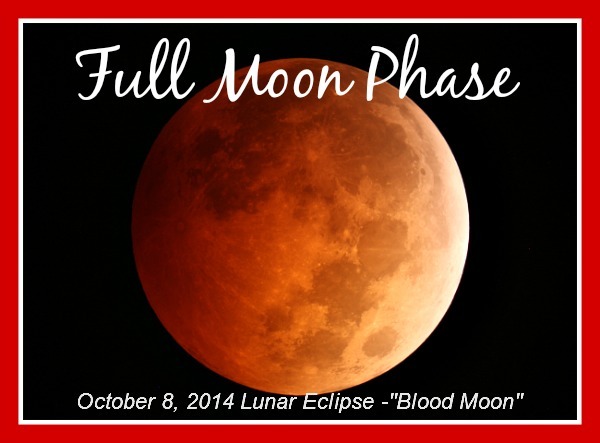 The Moon enters the next lunar cycle gate at 225° at what is called the Waning Disseminating lunar phase. See you again around that time at 15° Gemini early next week if my calculations are correct! That should be around Oct. 12th/13th when the Moon enters that next Waning Disseminating phase. The Moon is now 3 signs ahead of the Sun and begins at the square, a difficult angle. At the square the Moon and the Sun are uneasy with each other. In this case we have an air sign (New Moon Libra) and our first quarter square in this particular phase happens in Capricorn. Libra is ‘air’ and Capricorn is ‘earth’. Mental energy squares with earth practicality. Conflicts of interest between the signs is one way to say it. At this point we have to find a way to satisfy the urges and needs of both signs–both aspects being stimulated in our psyche, our soul, our heart. And this drives us to some sort of “action” in some way. The last phase was a crisis in consciousness and this phase is referred to as a crisis in action. Typically, it is possible that feelings of unworthiness, failure or doubt can crop up at this time. That’s what they say because it’s a carryover from the Crescent phase from a few days ago. And in my personal example, a few days ago there was a fluctuation in the mood. Not so much doubt from that ray of hope that came through the new phase but it was more like crunch-time as the saying goes. I spent an afternoon adding, subtracting, multiplying so-to-speak in order to convince myself that this ray of hope is legit and completely possible, viable, practical and do-able. Any doubt now is waning or depleting. It is said that group energy is a theme for this Moon angle and tension between self and group energy or the energy of idealism may occur. This is where the Moon enters the brighter hemisphere; the realm of manifestation and where we meet “others” who may be antagonistic or oppositional. In this lunar phase it would be good to remember one’s path and to not to let the result of drama leave a mark on the evolving spirit. This particular First Quarter Moon right now is occurs in the sign of practical Capricorn; thus the concerns with practicality. But as I make this post, the Moon is only 6° into Capricorn and will not complete the phase until 15° Aquarius and that’s not until October 4th which is 3 days from now. I may be sharing my personal experiences of this lunar phase prematurely but can always come back and post an addendum at the bottom of the post. So let’s go forward anyway–knowledge is power. Forewarned is forearmed as they say. The Moon in the sky is really beautiful right now—looking like a half Moon, very bright; I admired it while waiting to pick up my grandson from band practice, sitting the parking lot of the High School last night. Looking at that Moon I thought about how a psychic artist and teacher from my past told me many years ago, nearly 20 years ago now, to study the Moon phases–that it would be helpful for me to do that. I was thinking how helpful that guidance really was. Oh, this isn’t the first time I’ve studied the Moon phases, but the first time I blogged about them and really applied the knowledge to what was currently happening in my own life. These changes are those of the solar-lunar relationship. The start of the monthly phasal relationship between the Sun Moon begins at the conjunction–meaning at that time the distance between the Sun and the Moon is 0°, then the maximum distance is 180° (Full Moon)–the opposition. It is probably good to remember that the Moon in the sky as it changes is the shadow that the Earth casts upon the Moon itself. At the full Moon the earth casts no shadow and so the Moon is fully illuminated by the Sun. 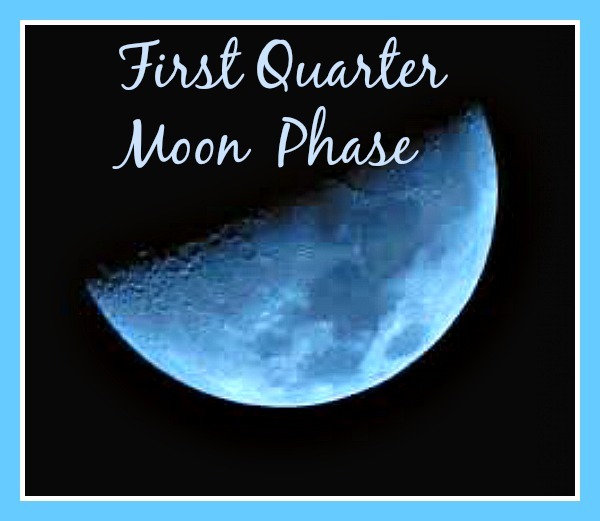 So we have new mental concepts and new emotional developments that occur each month–the lunar cycle reflects our soul’s evolutionary growth day by day or phase by phase. We can see how previous structures and emotions (from the previous month–lunar cycle) are changing. Last month life was one way and now life is different, right? I love the way the Moon’s transits and phases and really give us an up-close and personal view of our own evolution. Its like looking at our life through a microscope. Now, in this phase, there is a gradual assimilation; a gradual revelation. The challenge is to now grow positively toward the fullness of the revelation rather than allow the mind that is crowded with the shells of the past structures to dominate the psyche. Will we repudiate the past and build the new? Will we allow the seed that was planted in our consciousness (the seed we asked for, asked to be given through our intentions in our new moon meditations) to continue to be nurtured and to further grow? The waxing phase (as the Moon is growing fuller) is a time to have an entirely positive attitude as much as possible. Why? because at the Full Moon what we have been nurturing will become manifest in the psyche and in the outer experience too as a result. We are laying the ground now for the time when the Sun’s light shines fully on the Moon–the solar power can make the Moon’s energy effective or not effective based on the power of integration that we ourselves have been nurturing throughout the entire waxing phase. The reference to “group” energy at the beginning of the post on this First Quarter phase (it feels to me) as if we are aligning with a particular group–like these are my “peeps” (as the slang term goes these days) and these are ‘not’ my peeps. Said another way, there is a feeling of wanting to identify with a particular group now… this is occurring within me just since yesterday. I am feeling an identification with people of my age group and in other ways, determining the line in the sand with other group energy. And that is definitely a part of the whole New Moon intention and the ray of hope and the struggle within me to accept it as real possibility and now how the manifestation will affect my association with particular groups and group energy. I had to think about this but I do see it. We will encounter people who will antagonize us and ideas which oppose our own ideas. We are at the midpoint of the waxing cycle in this phase. There is an idealism and then a reality and there is one winner and idealism can win! But there’s a struggle for balance too. You know this quote? “Thesis plus antithesis equals synthesis”. There are crumbling structures, as Dane Rudhyar says about this phase, and the desire to commit to a principle; sort of like “do or die” type of commitment or decision about how it’s going to go from here on out. We will NOT crumble along with those structures the way we’ve done in the past! We have a principle or a personal ethic or a strong hope/desire and now it’s time to “win one” in some way. We know life isn’t perfect and our manifestation may not be perfection either but we ARE going to go toward it positively. We may fear that we can’t but know that we must–the feeling now is sort of like this. By the way, it is said that when the First Quarter Moon is in a Cardinal sign (in this case it’s in Capricorn, a cardinal sign) that there are excellent prospects for success. This is true for people born in during this Lunar phase as well. Cardinal signs are Aries, Libra, Cancer and Capricorn. This Moon phase is about building a NEW framework in some way which will overcome the past and serve the intentions for one’s future! Not all apartments here are created equal, nor are all karmic imprints the same! This post is me being bare-to-the-bones honest. Sharing what I’m learning on this journey. You may remember the posts since last year have reflected my struggle with… well, straight to the point shall we? Not all apartments are created equally, nor do all humans carry the same karmic imprints and tendencies in consciousness. My inner question over many months involved knowing on deep levels that every irritating sound (or even smell; well, maybe especially smell) was illusion and my response of intense aversion to it was of course of my own making. The sounds is ‘me’ and the smells are ‘me’ but at the same time in conventional reality obviously coming from the source of the downstairs neighbors. For months on end, I realized this and argue with self, “…but it is so real (the loud voices the curry/garlic stink),… so real for something that is an illusion! How could this be me when everything that remains of me that is still sane indicates the opposite? I knew the truth of it but the aversion was so strong that the reality of it increased in proportion and the whole thing kept feeding itself. By the way, since moving I’ve learned that the apartment building itself where this experienced hell-realm is located is cheap construction and the townhouse I’m in now has very good soundproofing. Our neighbor to the right (this is a 2-level townhouse) consists of 3 people and a dog and we never hear a word, nor do the 3 of us living in this townhouse even hear one another’s TV or words from room-to-room or from upper-to-lower level. So life is much more pleasant as far as that goes. 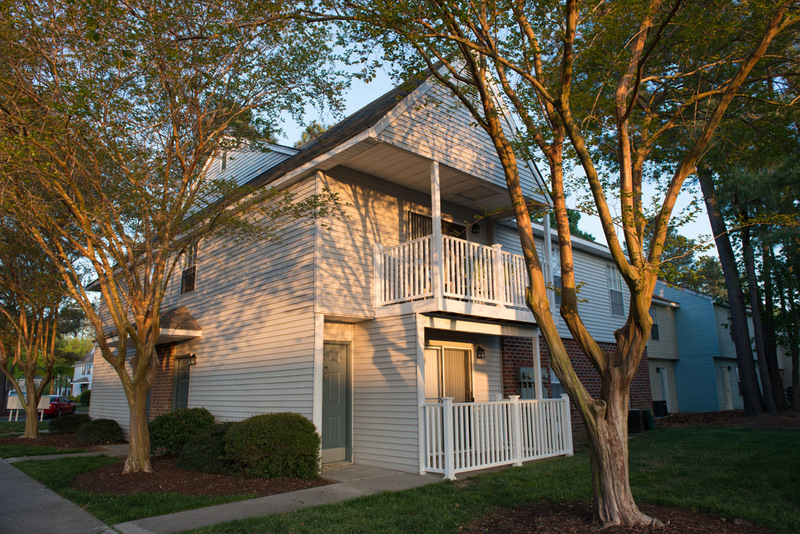 Not all apartments and townhouses in this complex are equal. The other apartment situation may have been karmic but it provided me the stimulus to ask more deeply about the nature of reality and the nature of mind. I would never, ever wish to repeat it but I do see how the experience benefited my evolution. I knew deeply then as I always have in my core being that the external sounds, smell, appearances were empty and coming from the mind but the aversion was so strong… it was very confusing and I resisted it desperately causing myself compounded suffering. And when we try to find the consciousness that see’s and interprets the energy, when we try to find the visual consciousness or the auditory consciousness or the olfactory/sense of smell consciousness that is doing the looking or receiving the smell, we cannot find it. Mostly because it is constantly changing and in Buddhist terms it is “empty”. Being a psychic this is known to me and seen in my work–energy is constantly changing and what we perceive is not the true nature of things, it is only our own perceptions which are deeply ingrained patterns (see last blog post)… latent karmic imprints. I have to admit here that there is difficulty in explaining in this written word what I know and what am learning here now, post-aversion, in my continued reflection and further study of Tibetan Buddhism. It’s complicated on one hand and so simple on the other! All the Libra energy in me can hold the paradox but my Mercury in Scorpio feels it and has trouble with the words. I realize even more clearly now that the sounds and smells [from my boisterous and cooking Indian downstairs neighbors and the guitar-singing neighbor who followed] were all simply energies which hit my senses that these sense consciousnesses had absolutely no opinion of those sounds or smells. And further, and more importantly, I realize with more clarity that it was my mind that was giving it whatever meaning it had back then which was that of extreme aversion. For another person with different karmic imprints, the situation would perhaps even been pleasant (although that’s hard to imagine) or at least the aversion may not have been as strong. Why would it differ? All those latent karmic imprints and tendencies were awakened and it seemed very difficult to have control over my intense aversions. I am not making excuses, I’m demonstrating, hopefully, how something pleasant or unpleasant (attractions/aversions) may differ with person-to-person based on the karmic tendencies in ground consciousness [see last blog post]. Back then, I kept thinking [getting the thought]–this smell is ‘me’ and their yelling in Hindi is ‘me’ but (at the same time) how can that possibly be? Karmic habituation of interpreting certain energy a certain way is part of the answer. I don’t have all the answers but it’s all getting clearer now that I am in a new setting where peaceful reflection is possible. People with natal (birth) planets in CARDINAL SIGNS (Aries/Libra, Cancer/Cap) that are close to 15° in their birth chart are going to be most affected personally by this months intensification of the Cardinal Cross. I’m one of those lucky folks (rocking my 2nd house); it is the same with my oldest daughter. In another daughter’s chart, it’s hitting her natal Pluto and NN combo and yet another daughter has the grand cross really affecting the area of her Ascendant; so all of my daughters are being affected by this grand cross because their natal houses have planets in those signs at those approximate degrees, just like mine. I have to cringe a bit when other people shrug, smile and say something like, “I don’t think astrology works for me–because in my life things are rolling along just fine and actually better than ever, thank you”. They probably don’t have natal planets in in those degrees in those signs, but everyone is going to be affected in some way, if not so personally, on a community, city, state, national or global level. I’m not sure its all ‘bad behavior’ like Steven says; but then, he’s more of a master of astrology and myself the apprentice. I think karmic situations are triggered–certainly and cause us to “work on our stuff” because that crisis energy helps us to see ourselves more clearly. The cardinal energy is pretty stubborn stuff in our psyches’ and sometimes a bit of a crisis helps to move things along where we may have held on or been resistant. It can move things along in a very positive way. Maybe it’s the optimist in me but I can see that’s exactly what is happening in my life–moving things along in a direction that I’d not have (without that crisis push) taken. But the direction is positive–or that’s how it looks from this point in time anyway. DESCRIBING THE FEEL OF THE ENERGY: Cardinal energy goes outward and then withdraws taking two steps forward and one step back and I must say that’s how a lot of energy in my own life has felt–very cardinal! The energy sort of reaches out for freedom and then steps back for security and containment. AND with cardinal energy there can be a lot of projecting onto others instead of being responsible for one’s own emotions. Holding other people responsible for one’s own happiness is an example of projection. Using Steven Forests’ example of the red oil light on the dashboard you ignore right before you “blow a rod” and destroy your engine…. let’s say that if you’re in bumper-to-bumper traffic and somebody else’s light comes on in their dashboard, their engine cuts out and doesn’t restart, you’re going to be affected anyway–maybe not directly, but indirectly. AND, I might add, in a way that’s in divine order for you too! The universe is magical that way–everybody gets what they need to evolve in one way or another. Astrology can be vastly complicated or quite literal and simple. There’s so much to be said about the dynamics of the Grand Cross and it has been — just Google the term. Therefore, I refer you to Steve’s newsletter for more. Yeah, really? seriously? Wasn’t I just changing babies diapers the other day? How could this be happening to ‘me’? I don’t think of myself this way but being the good girl scout, looking ahead to be prepared, I see myself doing just what my own mother (God rest her soul–as they say) did when she was… well, yeah, I think right about my same age. She found herself a place to live with others of her generation on her limited income and (cat out of the bag here), I’m doing the same thing right now. I’m too early and way too young for this right? Probably not; but LO! it’s taxing filling out all those forms and trying to figure it all out. Which way to go? Which decision to make, while at the same time feeling completely at the mercy of the odds. There’s not many ways to go actually. You just fill out the forms and pray you can manage until you move up on the list–and until the odds are in your favor, try to survive. “May the odds be ever in your favor”–Hunger Games. Well, anyway Cancer Capricorn is part of that grand cross with Aries Libra. Yeah, there are the planets in those signs of course but let’s just think a minute about Capricorn/Cancer. Sort of strange how those merge isn’t it? Capricorn (age) and Cancer (the baby/the child). Isn’t it as we age that we become more childlike? Think of (oh, do we have to?) those “adult day care centers”–I can’t believe they actually call them that! That’s a perfect example of the merging of Capricorn (old) and Cancer (baby). I just realized that just typed “old baby” and I’m about to gross myself out here and maybe you too reader! And of course wouldn’t you know this grand cross is triggering my 5th and 11th houses and the 2nd and 8th. Issues with the community, with my children, with my money and the money of others. Yeah, that’s how it’s all playing out in my life–those areas are being triggered. And it’s culminating, about to hit the fan as the saying goes. Well, eventually I’m going to need some help and so I’m lining it up here–that’s just me facing old age even though I kick my legs and swing my arms in the pool as often as I can to stay young. Yet, I’m falling into my mother’s footsteps to find a community of people my age where income is adjusted to what’s fair and reasonable. I’m not like these younger adults with a big corporate entity backing me up with a big paycheck every week; it’s just me out here mother/father god; just little ole’ me. And maybe I’m delusional but I do deeply believe that I am employed by that unseen force that helps me to help others when I do psychic readings, counseling and astrology. I’ve got a few calls into the ‘big boss’ if you know what I mean. Meanwhile, I see some synchronicity–well, a good bit of it if I’m going to be fair in my blogging accounts. I found out about help that came about in just that way serendipity, coincidence or whatever you’d like to call it–the path was shown and I’ve been following it and getting more and more direction and information. So, I’m being led even though I see several possible outcomes, as if yet there’s no indication as to which one will manifest. I’m, therefore, in the trust phase; and they don’t call it blind trust for nothen’! It’s triggering that Aries/Libra thing too (Mar in Libra opposing Uranus in Aries). I don’t like to ask for help and I want to remain independent and that’s hard especially as we are dealing with my money and other people’s money: houses 2 and 8. That’s the other part of the grand cross. Wanting to be independent and yet needing to ask children and community–why? because I’m getting old and that’s still a hard one to admit since, like I said–it was just the other day that I was the mom of three little girls! Yeah, and wanting to be rescued is part of that dynamic too. Right now would be a good time for prince charming to ride in with saddle bags of money or at least a big house! Not going to happen: I know my astrology chart pretty well. Even if it did, I’d very likely be held prisoner and Mars and Uranus would be totally pissed off about that! For me the dynamic of this Grand Cross is kicking up some family issues and the realization of aging, housing, money for housing (Cancer — Jupiter [money] in Cancer [home]) and family/freedom issues. Echoes of my natal node’s soul lessons actually–what else is new? And looking up and out the window now I see the most beautiful sunset; the bright pink-orange with the dusty blue-purple. And I think of the word Trust again and take a deep breath. I will know which direction I’m going (or if I’m not going at all) by the time I need to know. Breathing deeply, feeling so alone in this but remembering I’m not. I’ve got a partner in spirit world helping and I don’t do anything alone. Neither do you reader–we’re not alone, we have helpers and guides showing us the next step or keeping us from stepping at all. Blind trust; that’s all we need. Again. And don’t expect anyone to be able to really understand; in fact, don’t seek to be understood–not this month. Mars and Uranus are very independent and their both very active right now! Just breathe.